Recently Reduced Price! Enjoy hiking, climbing, skiing and more! Buyer May Receive A Title Fee Credit, Inquire For Details! 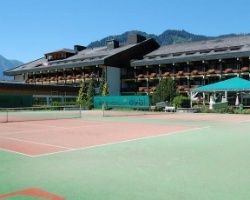 *American Resorts International Alpenland Sporthotel - St. Johan-im-Pongau* is centrally situated in the picturesque town of St. Johann with a wonderful view of the surrounding Alps! 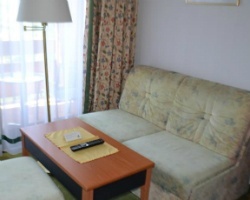 All rooms are equipped with bath or shower and WC, bathrobes, radio, telephone, cable-TV, minibar, hairdryer. Discover the treasures of the Salzburger Land! Here you will find unique natural beauty, world famous art treasures, well-known names, a fascinating cultural heritage and a vast selection of cultural events just as you wish. Naturally, sports and relaxation are not left out of this special landscape. Let yourself be spoiled by the char of this diverse region. And the best thing of all: everything is so close because the Alpenland Hotel is located right at the center! 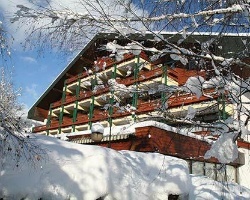 For more information about this beautiful resort, visit www.alpenland.at. *Interval International Premier Rated* Featuring a finely appointed 1 bedroom, 1 bath suite that will accommodate 4 guests comfortably. Usage is annual in a floating week. RTU in perpetuity. For more information or to make an offer, please submit the inquiry form.